The Tinker Hatfield-designed, Fab Five-popularized Air Flight Huarache is set to make a return this fall in premium, monochromatic form. 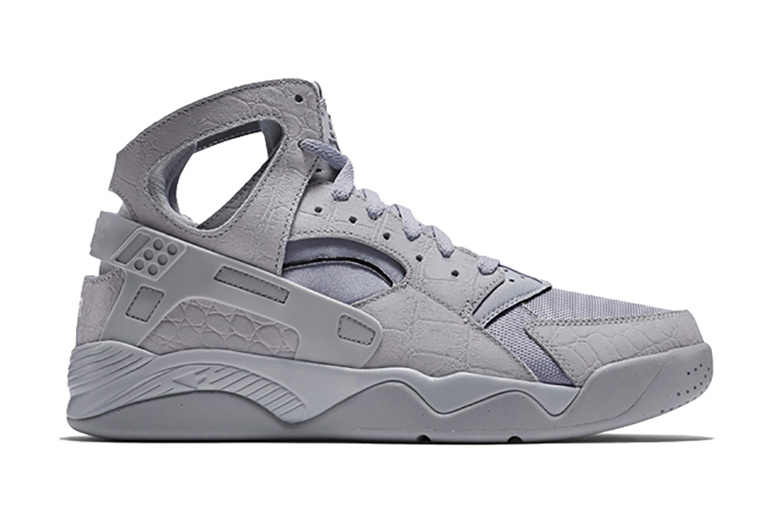 Decked out in grey, the early ’90s silhouette makes use of croc-embossed leather across its overlays while the upper’s hue makes its way to the TPU heel support wrap, midsole and outsole as well. Look for these to hit select Nike Sportswear spots in the months ahead.